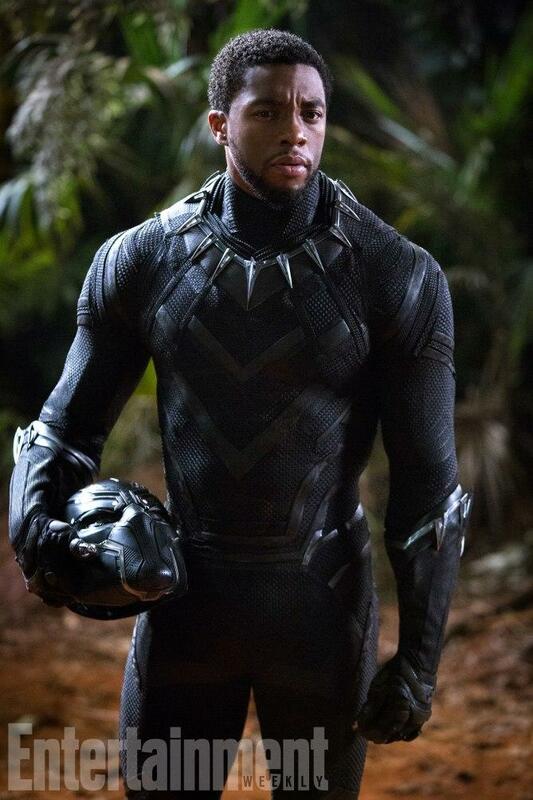 One of the most anticipated Marvel movies in recent memory is Black Panther. 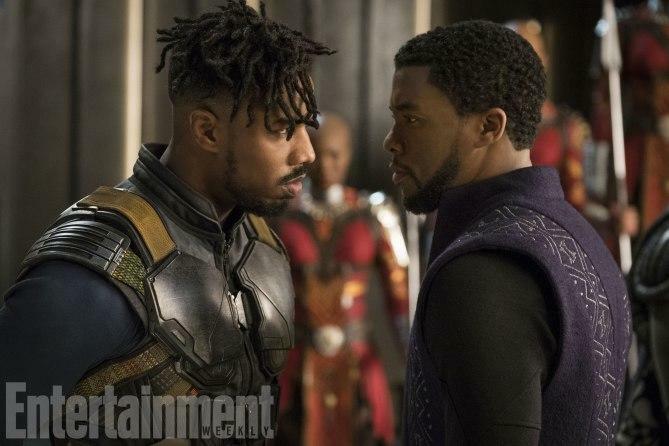 We got the first trailer for the movie last month, but few details about the plot were touched upon. 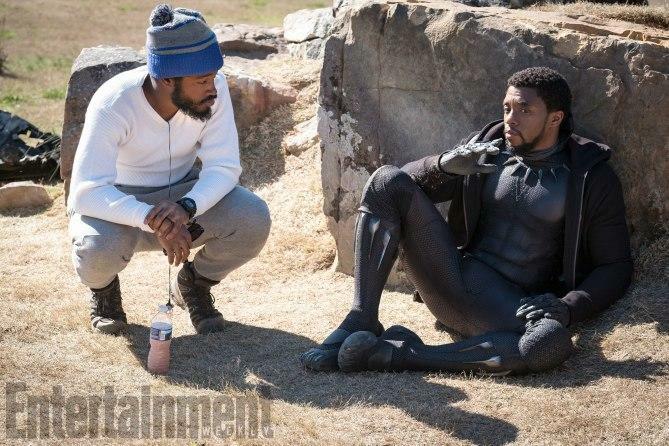 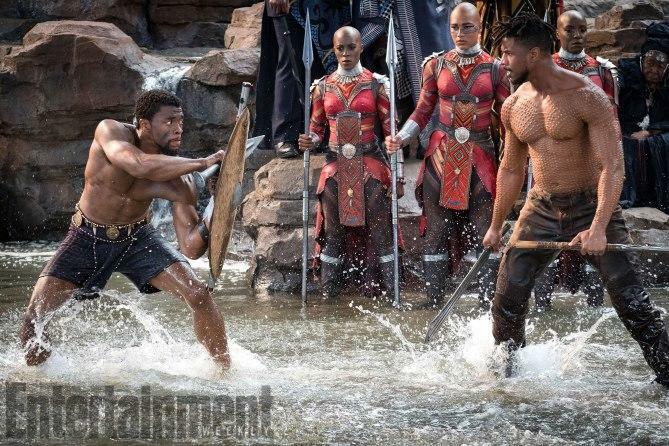 We’re learning more about Black Panther’s story in the latest issue of Entertainment Weekly that dissects the plot more as well as featuring never-before-seen images from the movie. 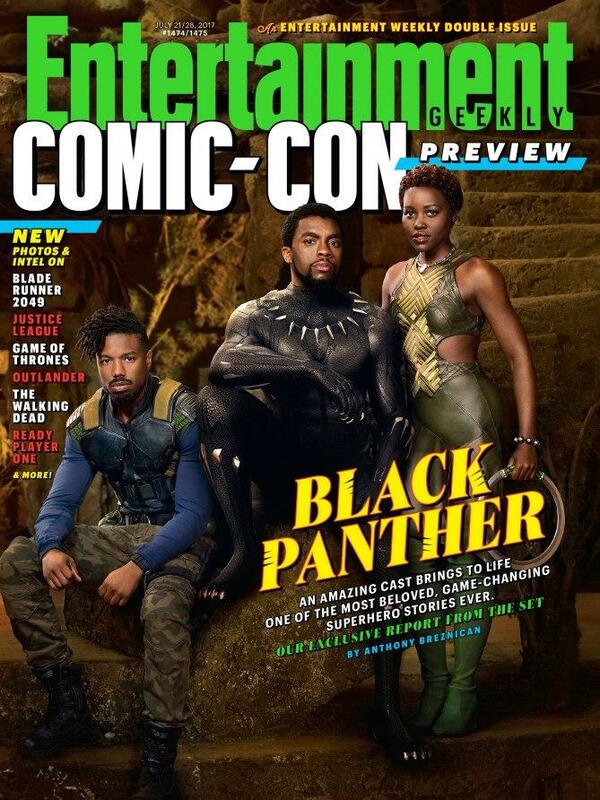 Gracing the cover of the July issue of Entertainment Weekly is Black Panther and its main stars: Chadwick Boseman, Michael B. Jordan and Lupita Nyong’o. 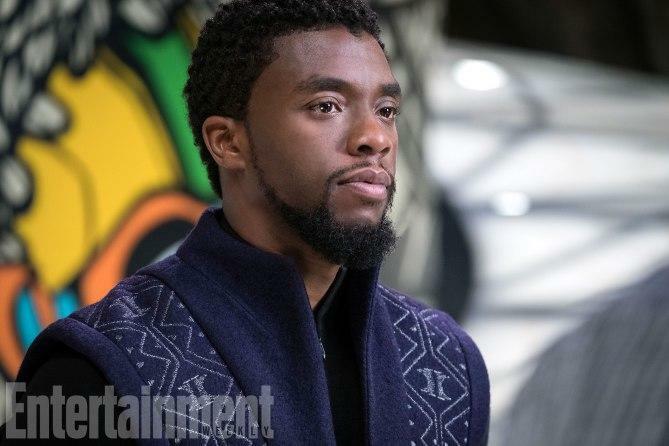 The cover story explores the story of Boseman’s T’Challa, the newly minted king of Wakanda. 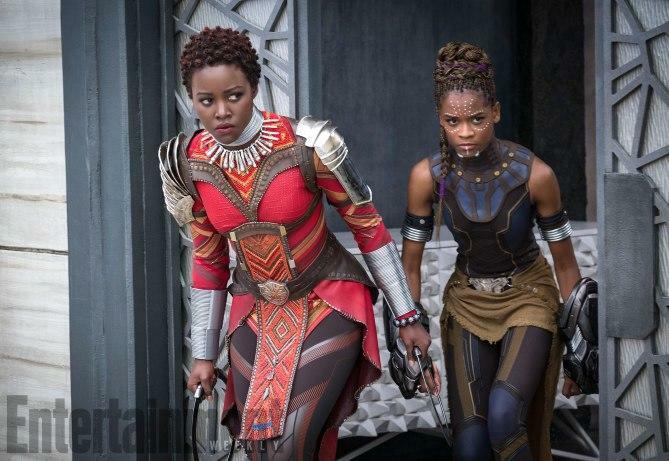 Wakanda is a futuristic country that hides its true identity from the world to prevent unwanted people from trying to take away its rich resources of Vibranium—the metal that makes up Captain America’s shield and Black Panther’s suit. 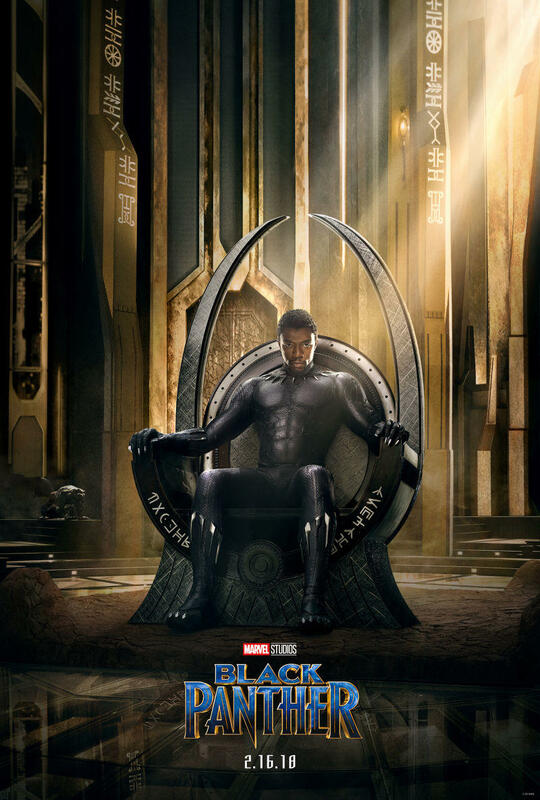 After the events of Captain America: Civil War in which T’Challa’s father and Wakanda’s king tragically passes away, he is entrusted with the throne and leading the reclusive country. 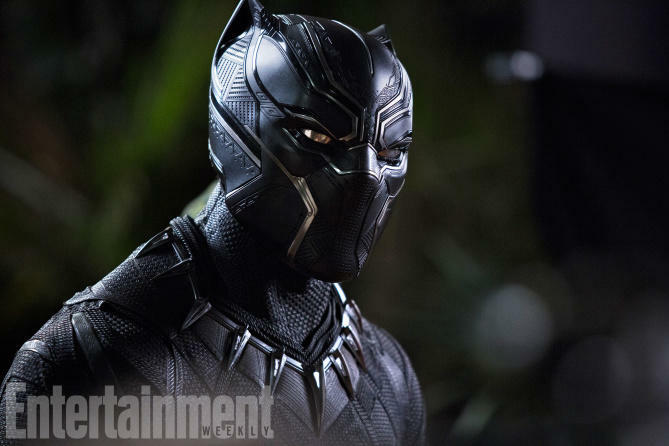 But heavy is the head that wears the crown, and T’Challa’s transition into kingship isn’t without problems. 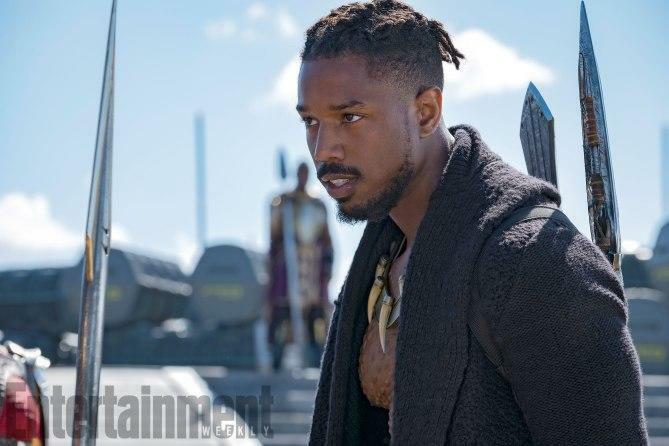 Chief among the so-called problems is Michael B. Jordan’s Erik Killmonger, a rogue prince who yearns to be the king. 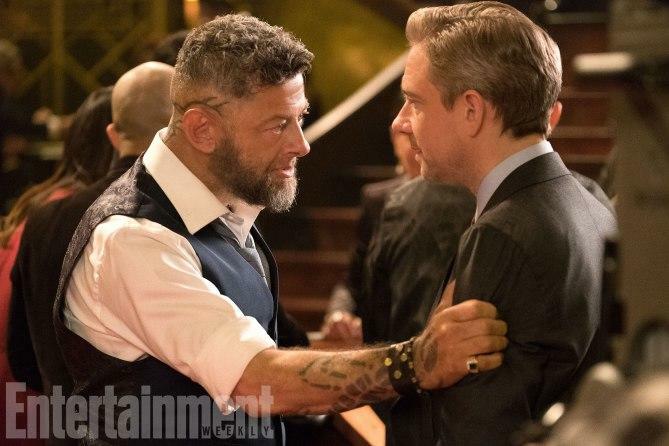 Even more problematic is his newfound alliance with Andy Serkis’ Ulysses Klaue, a Vibranium robber. 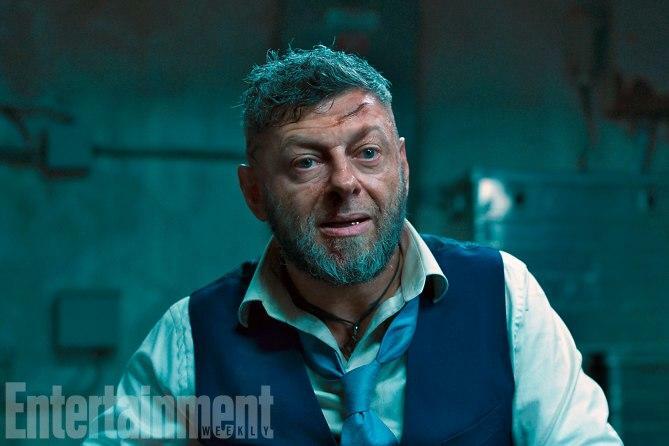 Last we saw Klaue he was getting his hand chopped off by Ultron in Avengers: Age of Ultron. 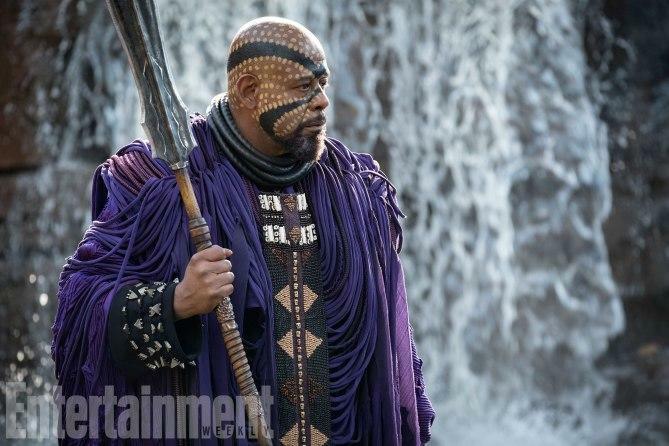 Klaue threatens to expose Wakanda’s rich empire to the outside world who think it’s only a third-world country. 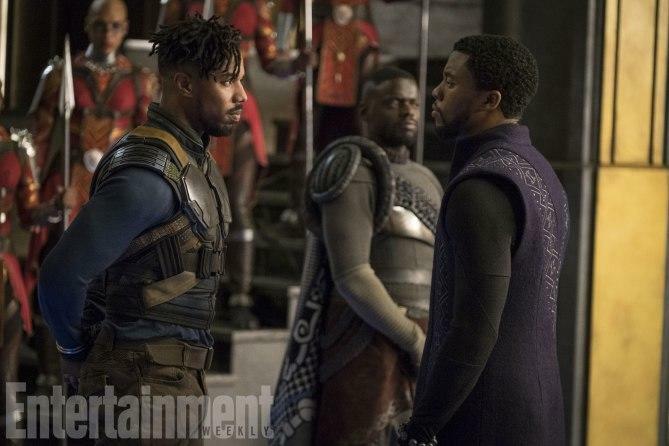 All the while dealing with these issues, T’Challa also has other people in the council questioning his ability to lead and his engagement with the outside world. 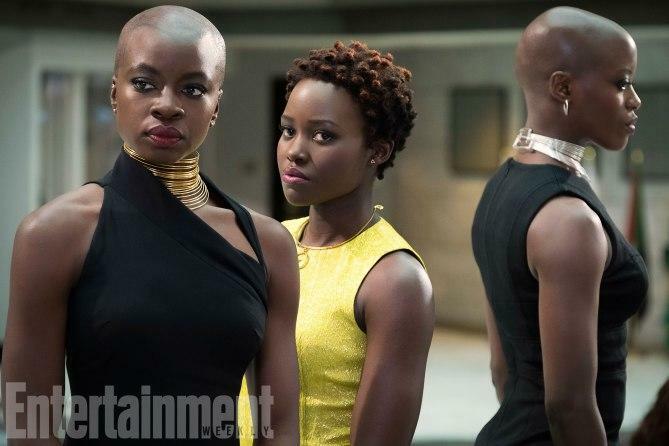 This sets Black Panther up to be unlike any other Marvel movie we’ve seen before. 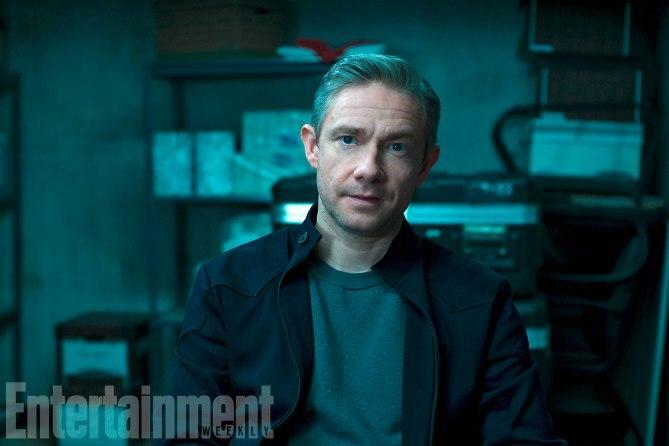 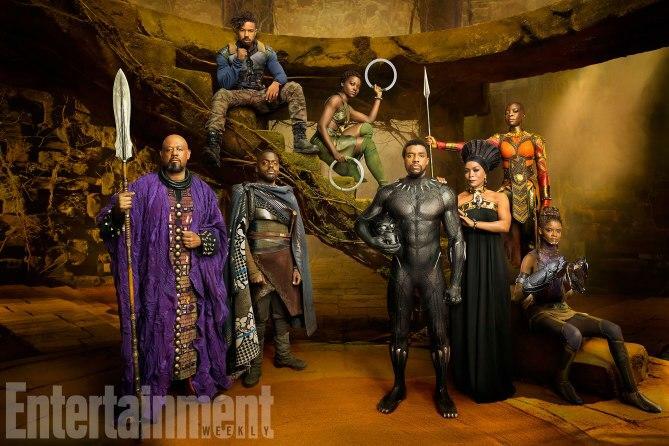 The gallery of 20 photos featured in the issue of Entertainment Weekly also give us a good look at the wide cast of characters in the movie and the rich culture. 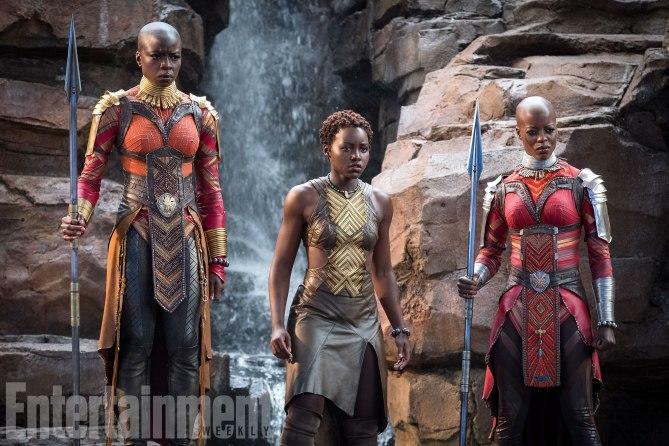 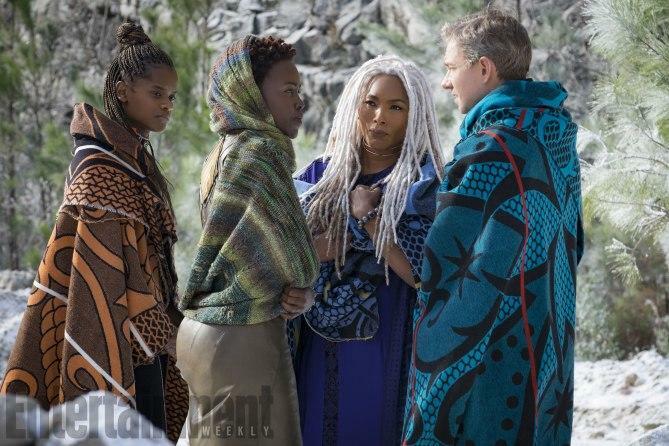 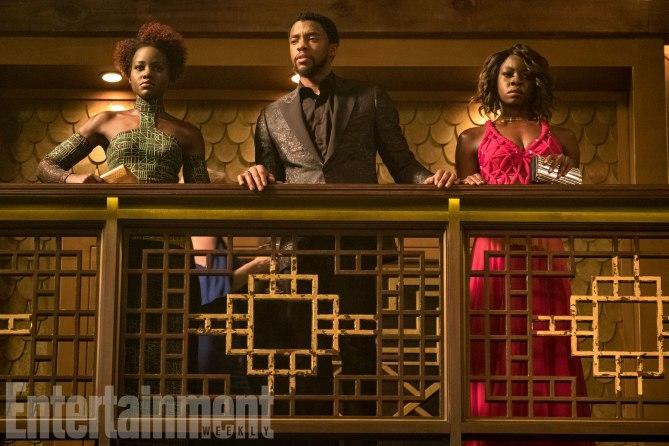 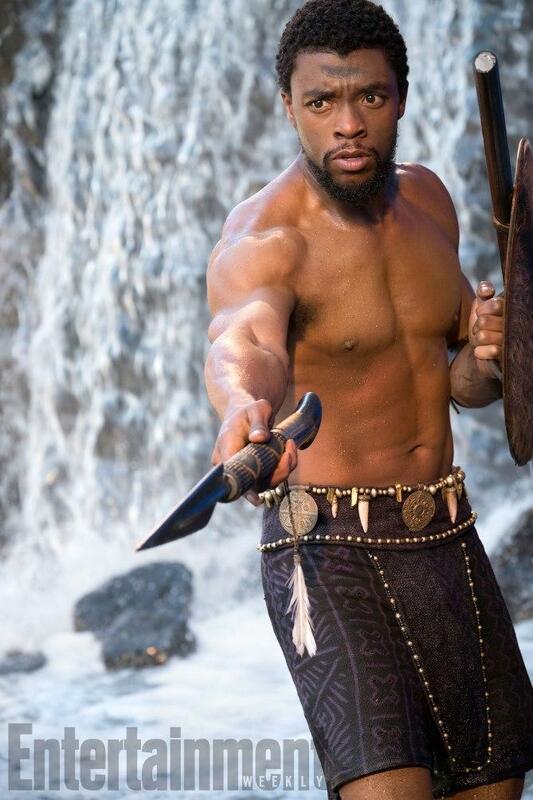 We get a real good look at T’Challa and Killmonger, but we also see Forrest Whikaker’s Zuri and Angela Bassett’s Ramonda for the first time. 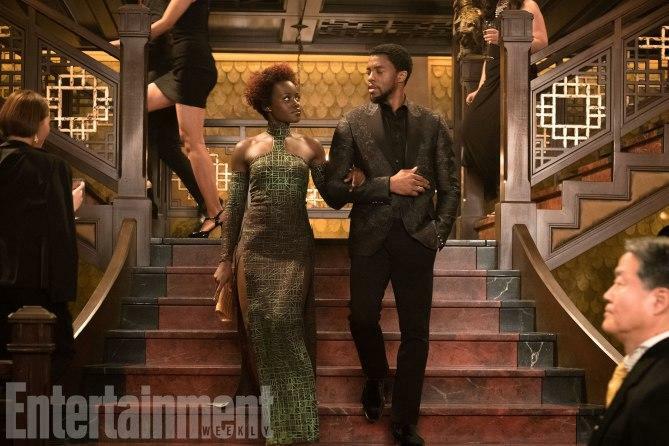 You can check out the entire Black Panther photo spread in the gallery above, and below are the previous images.